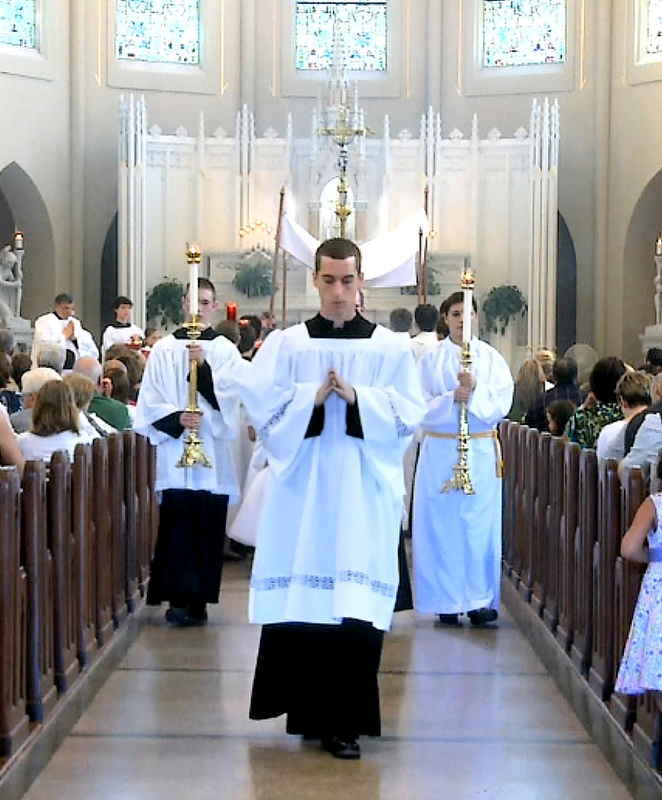 For years I’ve been wanting a good video that explains the holy Mass from start to finish, in an accessible overview — something that will help the ordinary Catholic understand and thus enter into what’s happening during the liturgy. 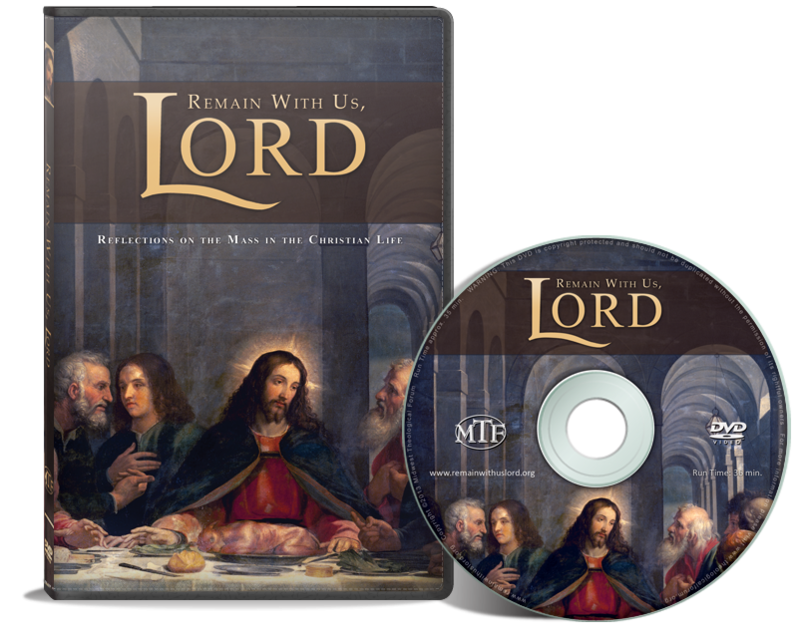 Midwest Theological Forum has recently released a DVD (also available as a download) that does just that: Remain with Us, Lord: Reflections on the Mass in the Christian Life is a short (approximately 35 minutes) walk through the Mass, with footage from several parishes around the United States and Ireland. A collection of priests (including notables like Fr. 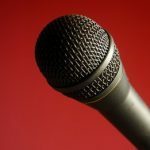 Barron) provide comments about what is happening and what the deeper meaning is, and parishioners share their experiences of connecting with God in the Mass. Something I particularly liked was that the video tackles the problem of human suffering head on. The faith isn’t just about feeling warm and happy, but about receiving God’s life even in the midst of our worst difficulties. The personal stories — some joyful, some heartbreaking — add a layer of discipleship to what would otherwise be merely very good catechesis. 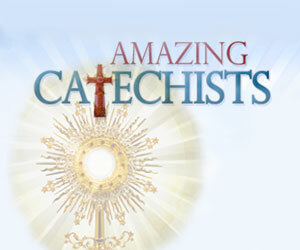 Highly recommended for confirmation and RCIA prep, as well as discipleship programs in the parish, and of course for catechist formation. I would estimate the video is geared towards teens and adults, but children who are settled down and attentive would enjoy it — nice shots of first communicants. For elementary-aged children, this video will work well for parent-child viewing, either at home or at small parish gatherings of just a few families at once. 5th grade and up will benefit from the viewing the DVD in class, if the students have been prepped in advance with basic background facts and vocabulary. Great video to have on hand. I truly enjoyed watching it, and felt my own faith was bolstered a bit in the process. Well done.